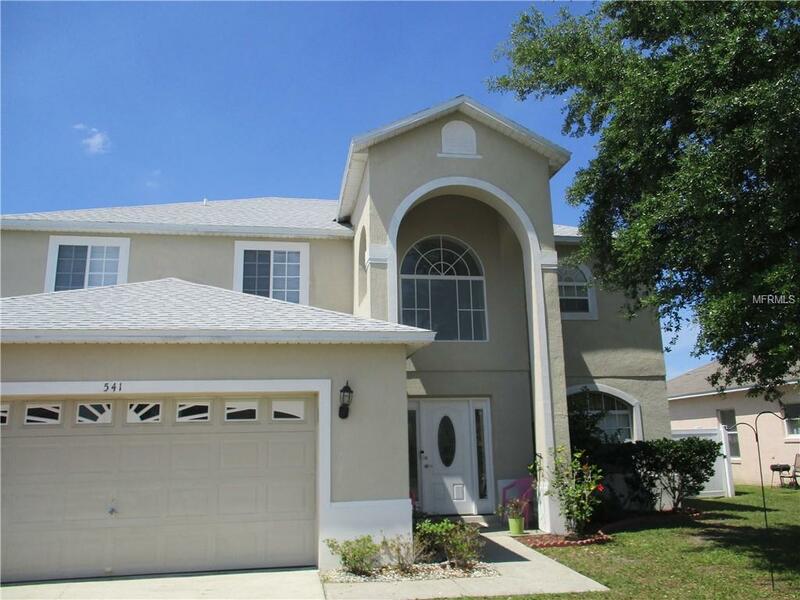 Pride of ownership shows throughout this spacious 4 bed 2.5 bath home in Kissimmee. The roof was replaced last year, the exterior has just been freshly painted and the AC was upgraded 2 years ago with a high efficiency system that will save you loads of money on your power bills! 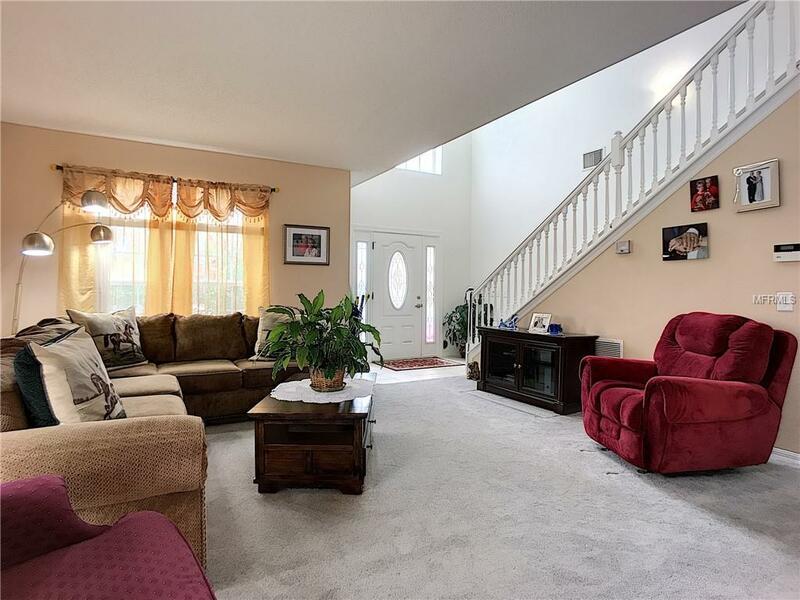 As you enter the home you'll immediately be impressed by the beautiful staircase and spacious living room which leads to a large formal dining room that is framed by a lovely arch and decorative columns. Next you'll experience the large and open kitchen that has a cozy eat-in area, loads of cabinet and counter space, a closet pantry and a breakfast bar that overlooks the sprawling family room with beautiful laminate wood flooring. Sliding glass doors lead to a patio and large fenced back yard that is just perfect for family fun and a place for the dogs to run. Best of all there's no rear neighbors! The first floor also has a half bath and a large laundry room with plenty of storage space and laundry sink. Upstairs is a huge master suite with his and her closets and a roomy master bath with dual sinks, a garden tub and a large separate shower. There're 3 more ample sized bedrooms as well and a bonus room that overlooks the living room that makes for a great game or hobby room. 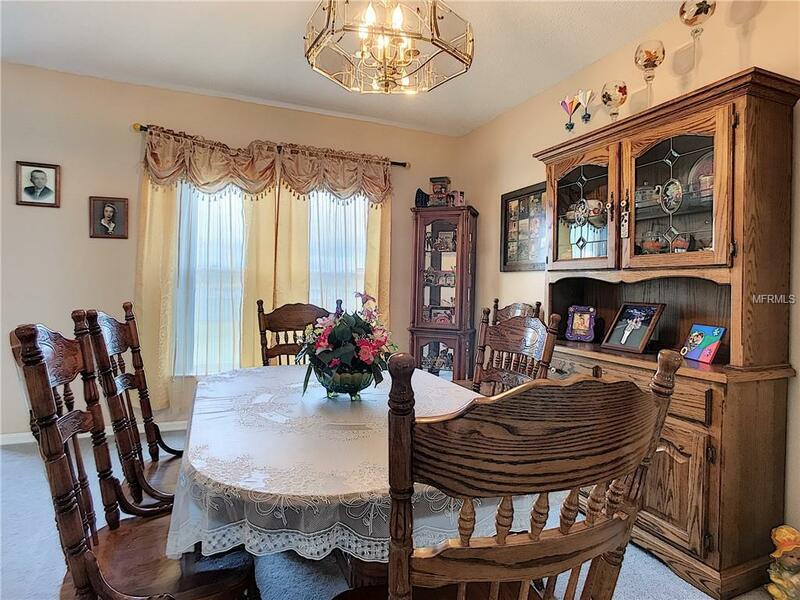 Poinciana is a fantastic community with a low HOA and has a new Club House and Recreation Center and offers parks, pools, playgrounds, and more. 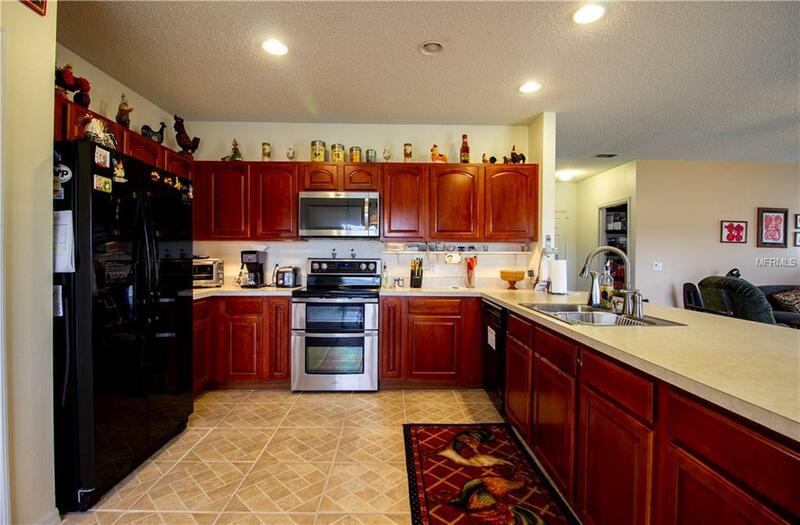 It's close to shopping, restaurants, the new Poinciana Parkway, and all that Central Florida has to offer!